Modernising your kitchen doesn't have to mean doing away with the traditional themes you adore so much. If you have conservative home decor preferences, take a look at our kitchen taps traditional collection and discover exceptional contemporary taps in traditional styles. Choose from our carefully selected range of traditional taps sourced from high end designers, Astracast, and Rangemaster, and enjoy fantastic reductions on every single one of our traditional kitchen taps. Save up to 30% in the HC Supplies traditional taps UK sale. The HC Supplies traditional taps UK collection is an attractive blend of taps in traditional styles, and modern taps with traditional elements incorporated into the designs. The Astracast Camargue Bridge taps are an eye-catching option and would complement Belfast sink style sinks. A minimalist choice would be the Shannon bridge taps from Astracast, or the Rangemaster traditional Belfast bridge taps. If you aren't sure which style of traditonal taps would be best suited to your home, give our friendly customer services team a call and they will gladly assist in any way they can. Our tradtional sink taps range is suitable for kitchens, bathrooms, and utility rooms, and no matter what room needs to be refurbished, you can make huge savings in our traditional taps sale. Each tap in our collection has been specifically chosen for its quality, style, and value for money, ensuring customers are completely happy with their new purchases. Our experts know which trends are here to stay, ensuring we stock traditional kitchen taps that will remain a part of your home for many years to come. Purchase quality designer products for less. 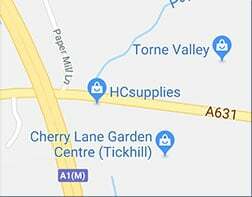 Customers living within 30 miles of our Doncaster showroom are invited to use our excellent design services which are available at extremely competitive prices. Completely renovate your kitchen using quality HC Supplies products, or pick and choose what elements you want to change, and our design experts will get to work. Homeowners living further away are always welcome to visit our showroom to take a closer look at our products, and if you requires some style inspiration, our advisers are here to help. Once you have placed your order, you can expect to receive your traditional taps within 2 to 7 working days. Do you need something for your home abroad? We also ship taps overseas, allowing customers living outside the UK and Europe the opportunity to experience the quality of our products. Our experienced drivers ensure your purchases arrive safely and on time. Should you require your taps to be delivered on a specific day, call our friendly customer service advisers who will organise everything for you. For further information about any of our products, or for help placing an order, give us a call. Customers can also contact us via the online form - simply fill in your details and one of our advisers will contact you as soon as possible. Rely on HC Supplies for an outstanding service and update your kitchen today.